London is a city like no other – so colourful, diverse, cultural and culinary. Feast in the British capital. 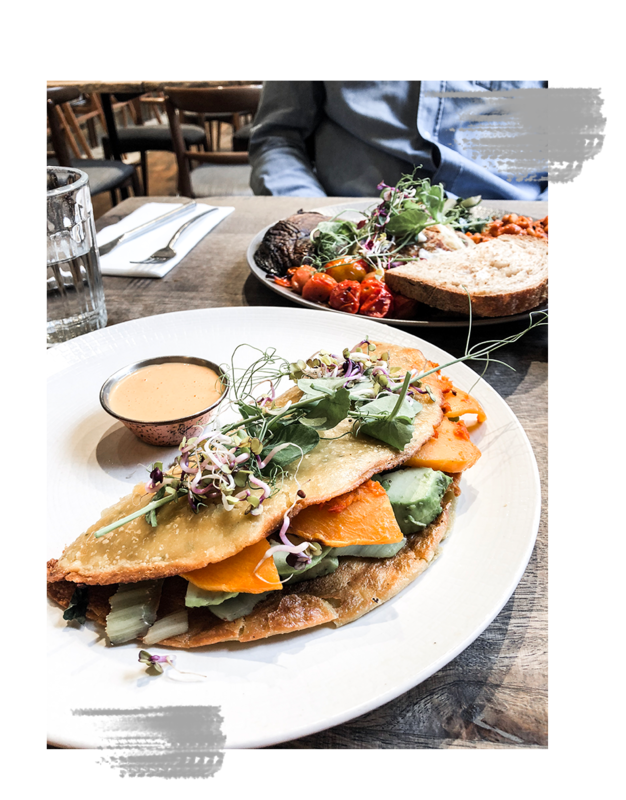 My insider tips on the best vegan restaurant and food spots in London. 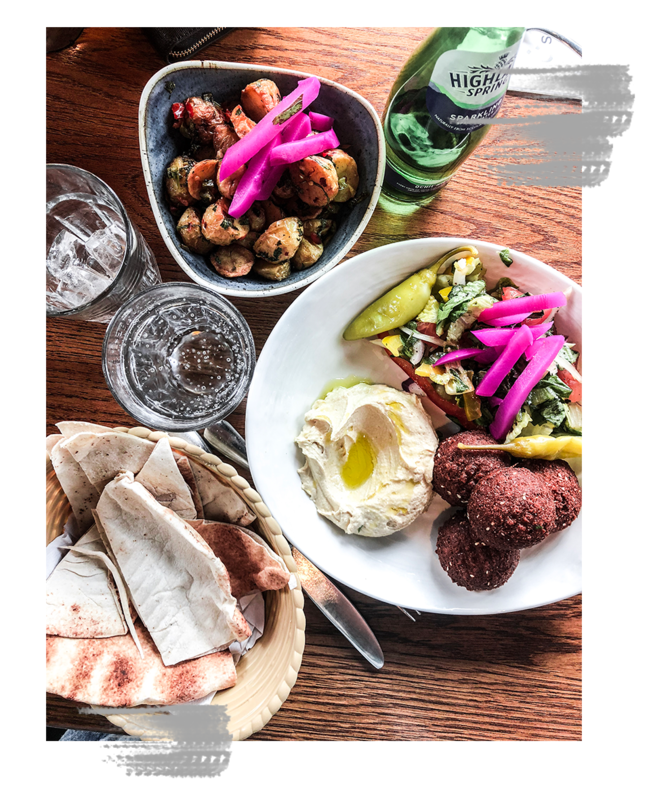 Hummus, pita bread, hot potatoes and falafel. The perfect lunch. So good. One of my absolute favourite restaurants in London. 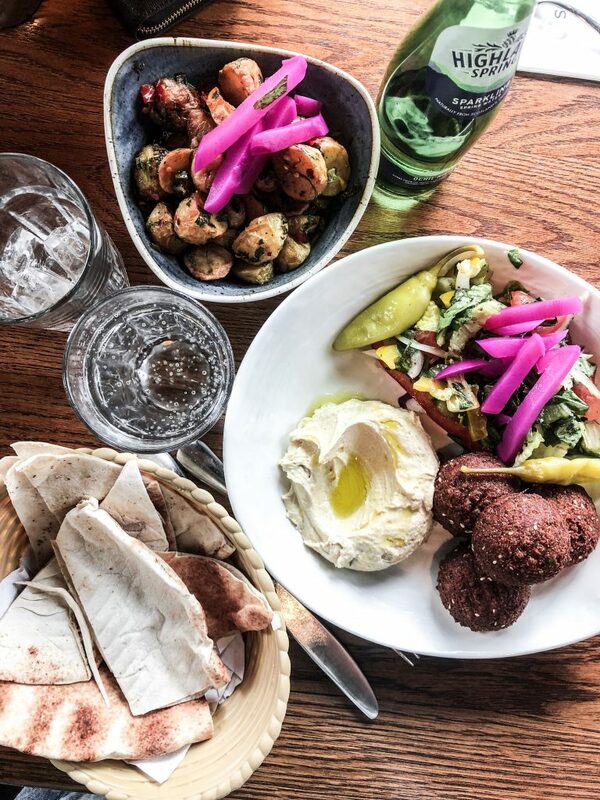 The menu is small, but very fine and vegetarian from A – Z. In addition, there is a wonderful ambience and very nice service staff. And the prices? For dishes of this quality and in London at unbelievably low prices. You shouldn’t miss a coffee break or brunch here in Central London. Best quality and very relaxed atmosphere. 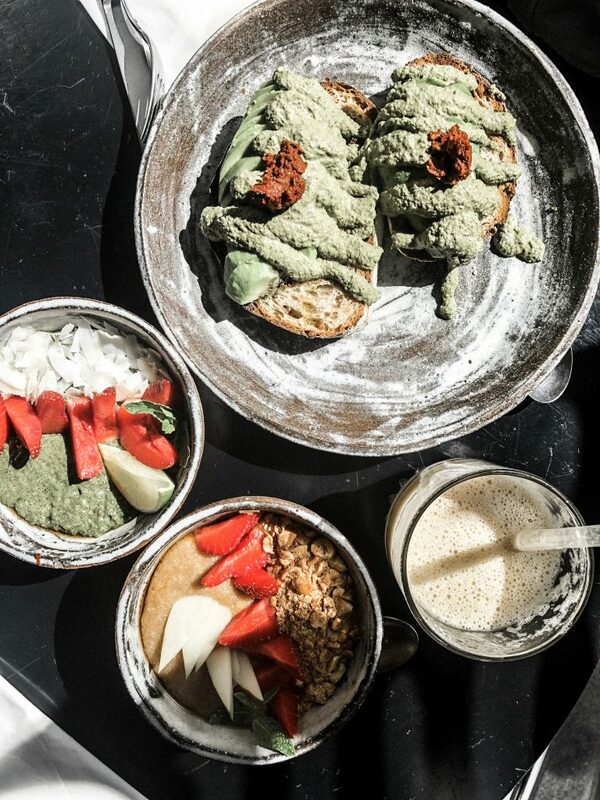 Amaranth bowl, avocado toast and coffee. Yummy. Probably the best pizza of my life. You really don’t have to even eat vegan to come here. An absolute jewel. 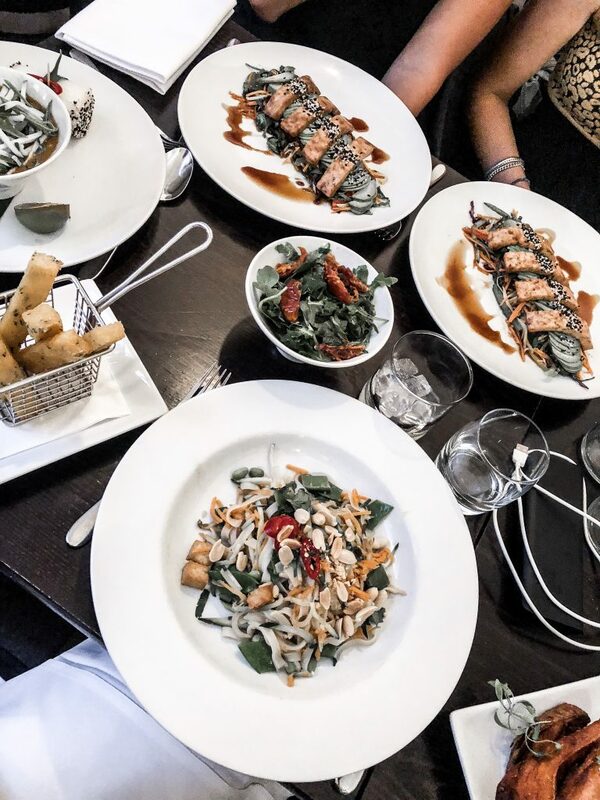 It’s worth waiting for a table. And the food anyway. Pizza rolls, pizza, dessert. Everything vegan, everything incredibly good. During our visit to London we tried to test as many vegan restaurants as possible. 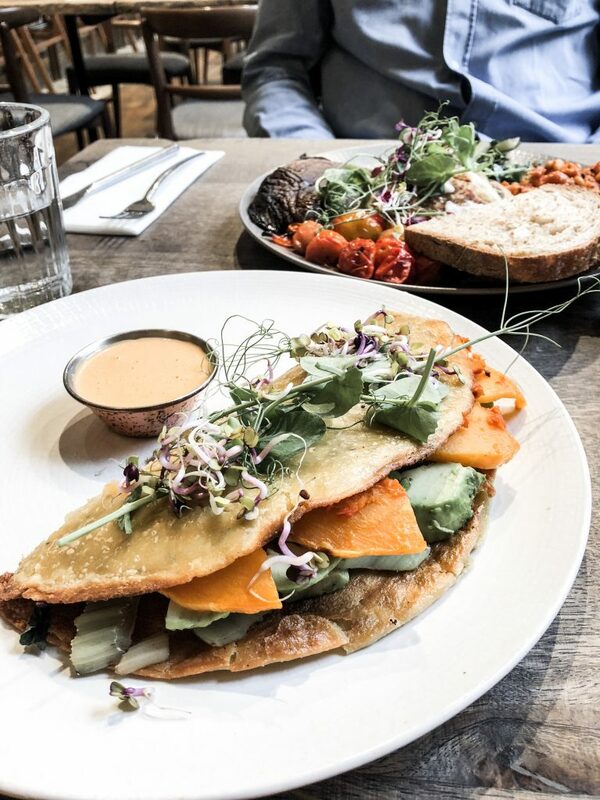 Farmacy is not completely plant-based, but has a wide range of vegan dishes. The food was super delicious and the service great. You should make a reservation if you want to make sure you don’t have to wait or are rejected. A visit is definitely worth it. A rooftop bar in the middle of London. Cocktails, beer, snacks and a wonderful view. Thumbs up. Most restaurants do not offer reservations, so waiting is often unavoidable. You must of course decide for yourself if you are willing to accept this.